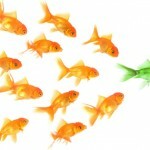 Being a Leader: More or Less? When it comes to fishing, most fishermen use a leader (an additional section of wire or line) to connect the hook or the lure to the fishing line. The type of leader used is determined by the situation or objective. For example, sometimes you need a stronger leader so a larger fish doesn’t snap or bite through the line and cause problems. In other situations a thinner, lighter, leader is needed so the fish doesn’t see the line and get distracted. So you might be asking … and why are you telling me about fishing? I’m not … I’m really talking about being a leader. Being a leader means sometimes you have to exert more influence on a team member so they don’t cause problems for the rest of the organization. Think of the superstar who produces big numbers and therefore thinks it’s okay to treat everyone else like garbage … including YOU … their leader! Being a leader means sometimes you need to be strong and hold your people accountable so they can move beyond their comfort zone and grow or learn. Being a leader means sometimes you need to step-back so your people can step-up and grow into their potential. Sometimes a leader needs to be invisible. Patience that comes from watching, waiting, and observing and wisdom that comes from years of learning what to do and sometimes what not to do! On second thought … maybe I am talking about fishing as well! PreviousPrevious post:Leadership Engagement – Are Your Leaders Authentically Engaged?NextNext post:The Cost of Losing A Customer … $10?